*Tuesday Tangents + Long Run Slow + FAST Race Day? 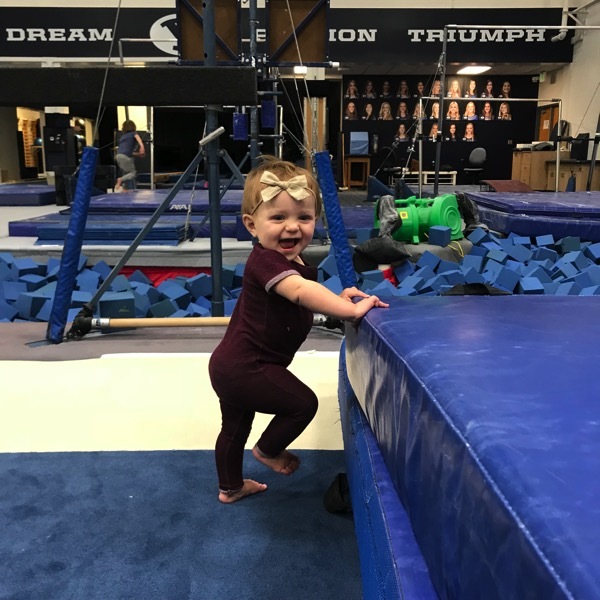 *The BYU Gymnastics gym = How the kids will stay sane this winter. My brother-in-law takes us with their kids so a bunch of kids get to run around and jump into the foam pit. 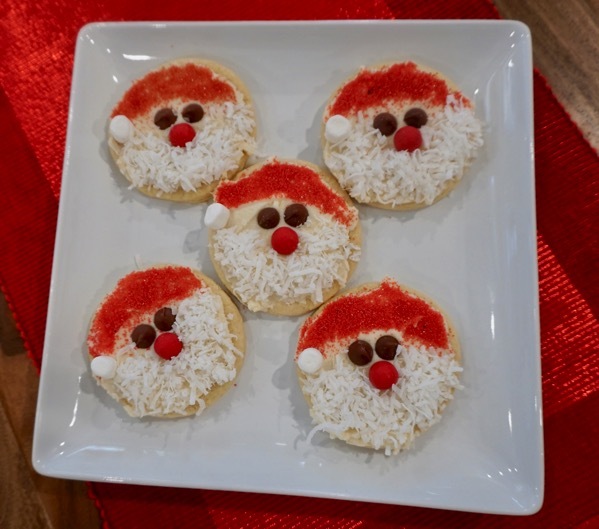 *We made some Santa sugar cookies! The kids decorated a bunch of cookies too. 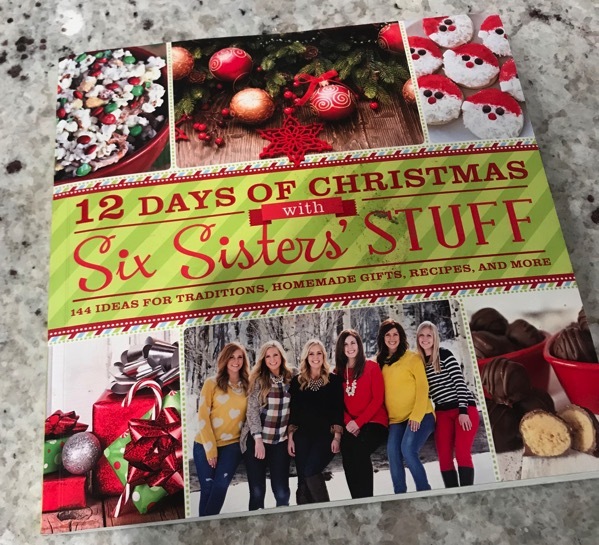 I got the recipe from THIS book… I’ve used a bunch of recipes from here and they are awesome for Christmas (this book makes a great gift too)! *I may or may not visit my upcoming ultra’s site daily to review everything. The whole ultra thing is so different than road races even on the race website… “At least I don’t charge you for the extra mileage.” hahaha! 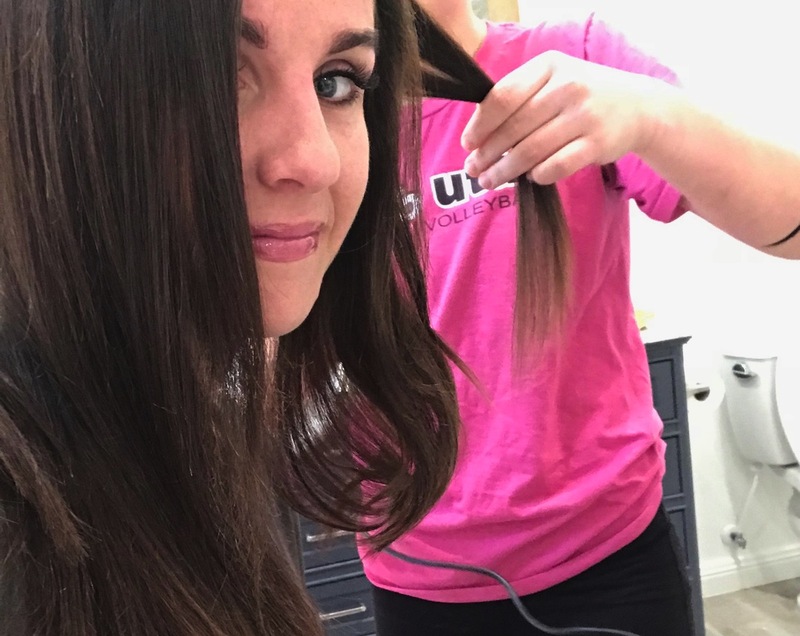 *Your 12 year old niece doesn’t try to teach you how to do your hair too? *My right hamstring was bugging me two weeks ago for the first few miles of every run. It was starting to freak me out a bit until I realized it was FROM THE ROADS. In our new area the sides of the roads are slanted like crazy and caused an imbalance when I would run on them. Now when I run around here I stay on the sidewalk (flat) and my hamstring problems have disappeared. I’m paying attention to those sidewalk cracks that like to jump up and make me trip too. PS It’s official, shorts weather is gone (unless I’m on the treadmill). Until we meet again in March…. 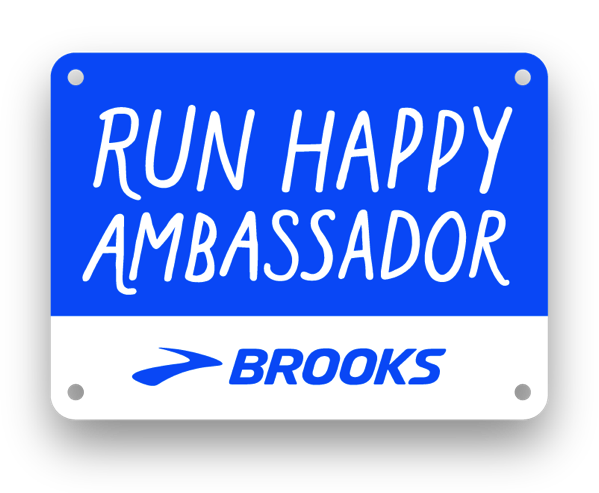 *I hope that Rob and I get to join you for one of your runs this week! I LOVED talking with him and learning about the ultra world. You can find the episode here! *You can also watch his awesome 240 (242.3;) mile ULTRA. It is so good and so inspiring. He started running four years ago and now look at him. Wow. *I had Brooke watch it with me but she still finds running boring ha. Andrew and I loved it. *Turns out maybe I was made for the trails with fuel like this for the miles. 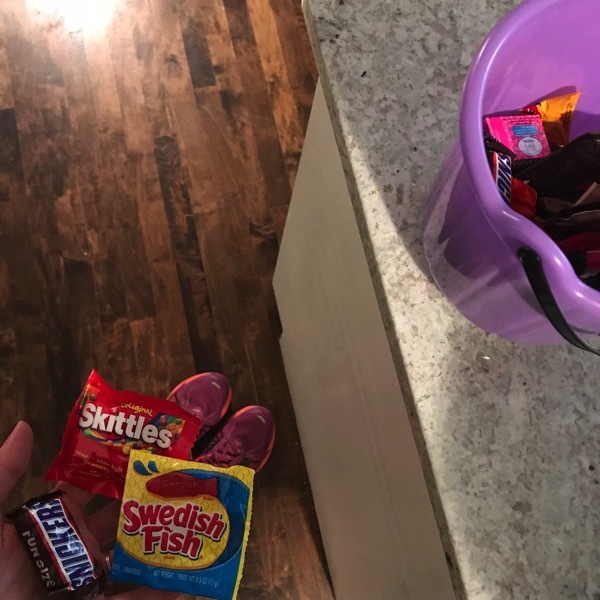 Thank you to our neighbors for the Halloween candy for free fuel. *The things we do for our running is kind of disturbing. 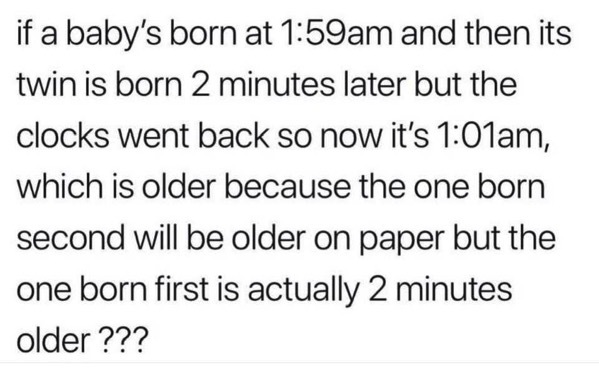 *Deep thinking for you… what’s the answer? 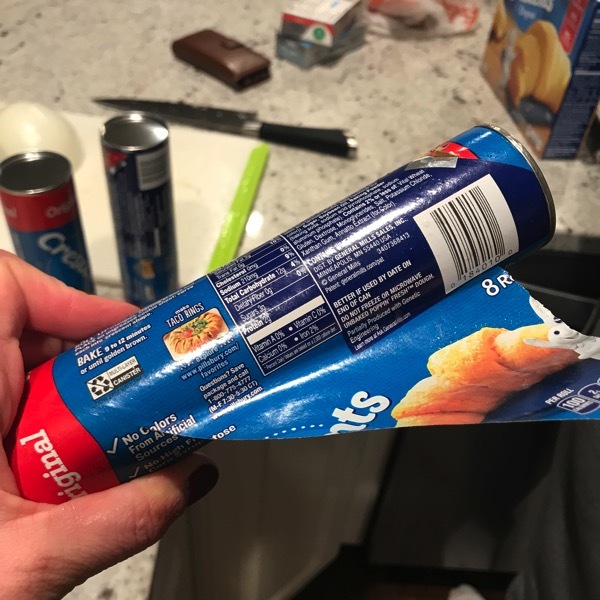 *My sister has progressed in her extreme fear of opening these types of cans. She can now be in the room when the pop goes off (she used to run into the other room) but she still makes me open them for her ha. 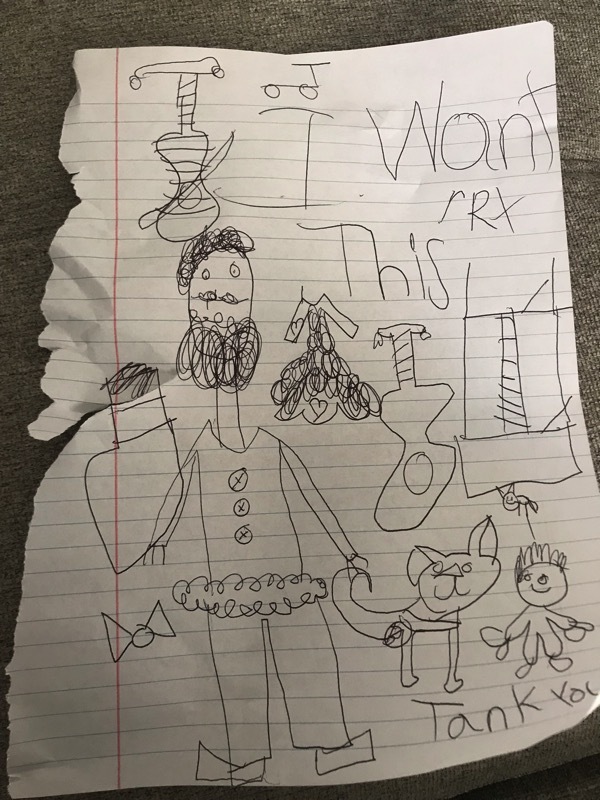 *This is the letter that Brooke wrote to Santa. 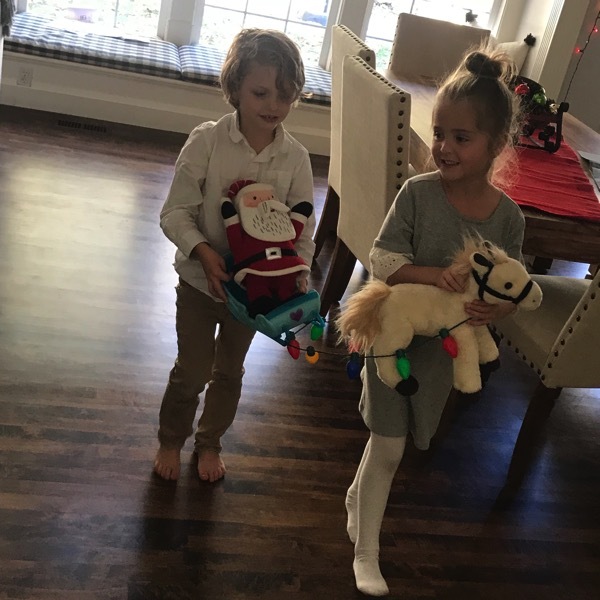 She wants a guitar, a violin, a scooter, Doll Bunk Bed, more animals and a baby brother… how do you explain that Santa can’t bring that?! *I saw this the other day and my answer to this question is 32. Our Sunday morning was incredibly lazy which was very needed after a crazy week. Andrew and I spoke at church in front of about 200ish people. That was terrifying but my voice stopped shaking about 4 minutes into it. Public speaking is hard but it was good for me to stretch myself and get out of my comfort zone a bit/lot. These two are in quite the Christmas spirit lately! PS Brooke is feeling back to herself and her cough is completely gone! 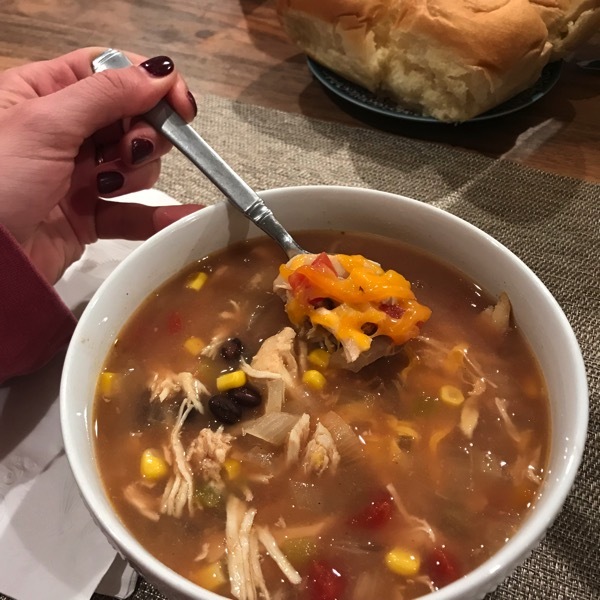 We had this chicken tortilla soup for dinner! It was really great to have a full week together the 5 of us. Knox leaves this morning and we are sure going to miss him! Do you run most often on the side of the road, on sidewalks, on bike trails or on trails? Ever tripped on a sidewalk crack while running? Do you have any random fears (like my sister’s can popping fear)? What are you having for dinner tonight… give me some ideas! -EVERYTHING is 25% at my favorite boutique (ROOLEE) and it is free shipping today! It’s so crazy that the smallest things can affect us when we run. Glad that yours was an easy fix! I’ve definitely tripped on sidewalk cracks before. I had one really bad fall a few years ago in super cold weather, and I feel like everything hurts more in the cold. Hope that you have a great start to your week, Janae! 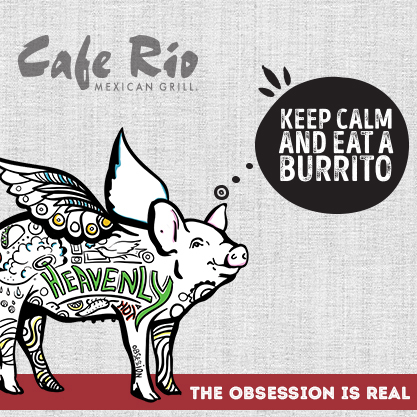 I definitely support you going to Cafe Rio for dinner tonight! Maybe I will here too:) YES… everything really does hurt more in the cold. Thanks Natalie! YOU TOO! 200 people 😱 Great job! Am of course now dying to know what you and Andrew spoke about. Will we get to hear? It really was so scary!!! We spoke about answers to prayers and scriptures that mean a lot to us! I wish we could have recorded it or something…maybe we will do a vlog:) Have a great day, Chris! I mostly run on sidewalks, and then bike trails. I wish we had more actual trails closer to us to run on more often! Last week was a little crazy! So I am definitely looking forward to being back in our regular routines 😊 But it sure was fun to spend a lot of time with a lot of family!! 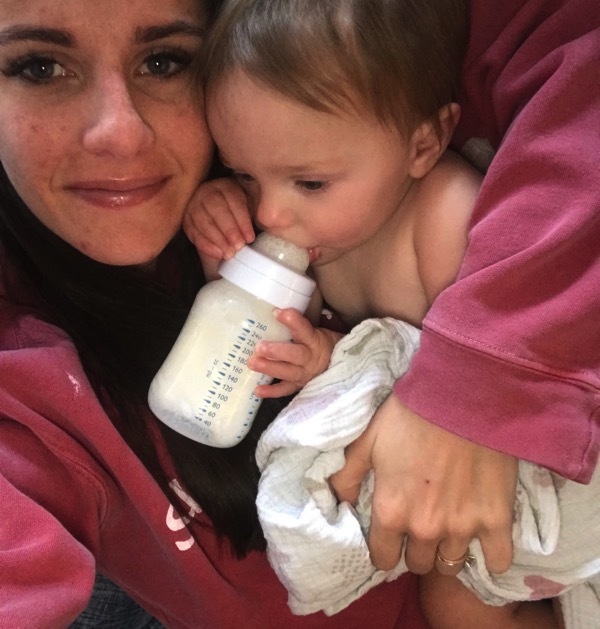 I AM TOO… I agree, the time spent together was perfect but I love a little routine too! Thanks Wendy, YOU TOO! 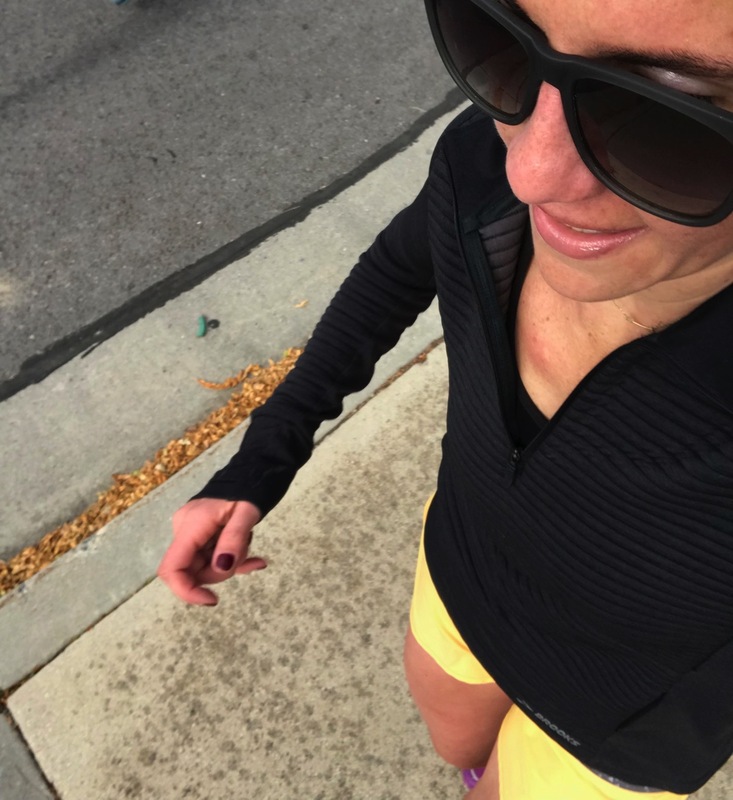 I try to switch sides of the road during runs around here because, you’re right, with the way the roads are slanted you can get over use injuries by running on the same side. Oh awesome!! I’ll have to check that out… thanks Jenny! I swear Utah roads are slanted big time because of the weather too so that is smart to switch up the sides. Have a beautiful day Jenny! Its such a balancing act for me…. sidewalks hurt my shins more, slanted roads cause other imbalances, and running on grass/dirt can sometimes make my ankle sore. LOL. So I actually try to run on all three surfaces so hopefully my body will get used to them all. NOOOO… that is lame! I hope that it gets used to them all too! Keep me updated on how that is all going! Have a wonderful day, Jessica! I usually run on a combo of sidewalks and paved bike trails (20 miles of them downtown.. right out my front door!). I haven’t tripped on a crack, but i did slide on ice once, and slid hands and knees down a mountain driveway on wet leaves…..VERY PAINFUL. Dinner tonight is egg sandwiches!! I have a fear of scratching my knuckles when we are biking and making sharp turns….we have cruiser bikes and the handle bars are wide. 20 miles of paved bike trails… that is AMAZING! Oh that fall sounds terrible. Oh that would be crazy… I bet that has definitely happened! Have a wonderful day, Loribeth! Wow, I’m glad you figured out the cause for your hamstring and that it was so simple! I tend to run only on sidewalks which might not be best? I dunno. I don’t really have any other option where I live. Still avoiding running to try to get my shin back to normal… I’m still nervous about it but I don’t think it seems like a stress fracture or anything, just shin splints. Of course I read every article I could find about shin pain which only succeeded in making me more worried about it haha. I have an irrational fear of dropping my laptop whenever I’m carrying it. I have been wondering about your shins… keep me updated and I’m really hoping that you get to do your marathon painfree! I have the same fear of those dang popping containers! 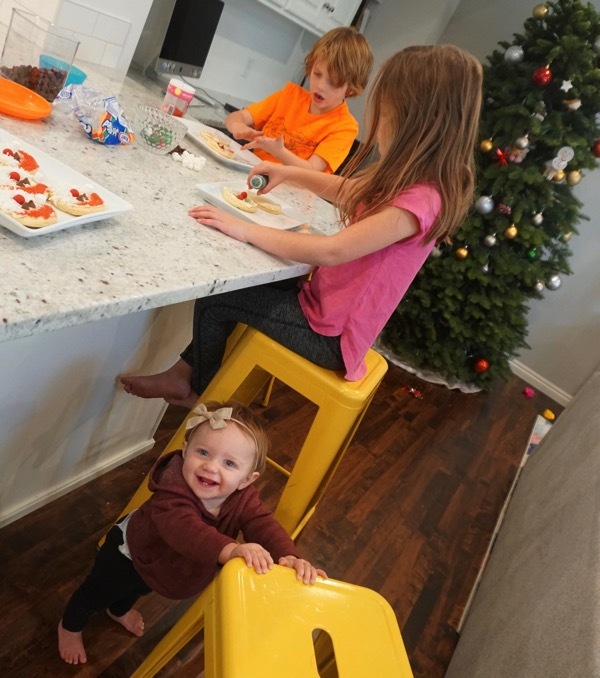 I just know someday one is going to be extra pressurized and explode, killing me somehow (I’m not sure how exploding biscuit dough will be deadly, but the whole scenario always seems so plausible in the moment). Your sister will see my obituary and never eat those biscuits again. Hahah I think that is what my sister’s fear is! You never know… it could happen;) Have a wonderful day Liz! Haha! I so can relate to the popping can fear! 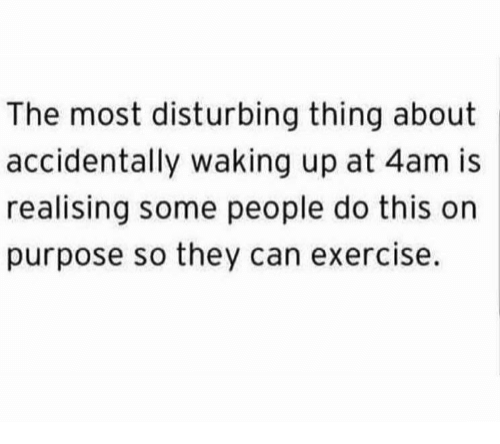 It freaks me out. Kinda like a jack-in-the-box! Funny story: I’m in the starting corral for the Turkey Trot on Thanksgiving morning all pepped up and ready to kill it and I get a facetime from my daughter and her husband. I almost don’t answer because I’m in the zone, but I love talking to them any time I can so I answer…. 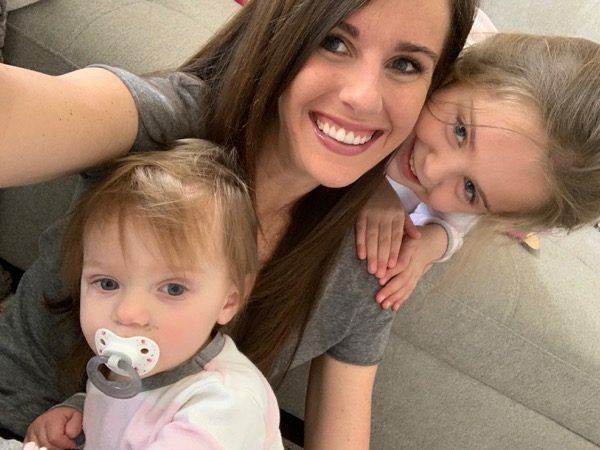 they have a big announcement… I’m gonna be a GRANDMA!! Something I’ve been waiting for for a very long time! I’m so happy I can’t even stand it!!! I spent the race with tears of gratitude streaming down my face. Life is good! L.I.S.A. I want to cry for you. I am so incredibly happy for you and your daughter and her husband. Will you please keep me updated on how she is doing and when he/she is born?! CONGRATS! Way to go on your Turkey Trot too… I bet you were smiling the entire race! Oh it is totally like a jack-in-the-box… maybe that is why I loved it! This is my first comment on your blog (I think! 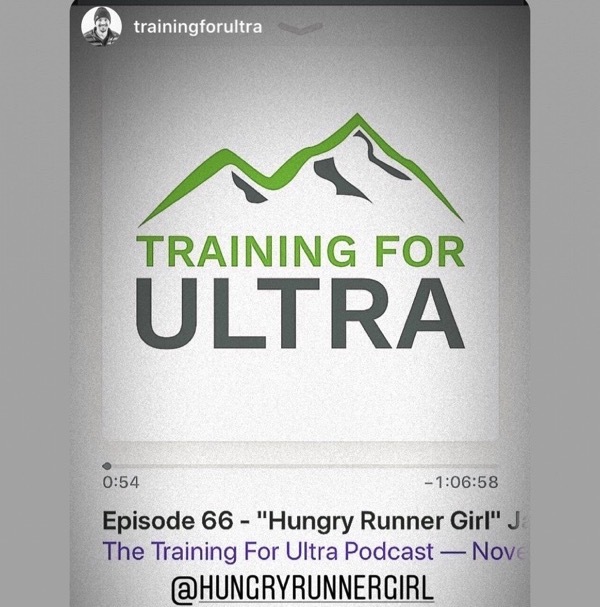 ), but I just want to say that I LOVE your interview on the ultra podcast! You were funny, humble, and super charismatic. 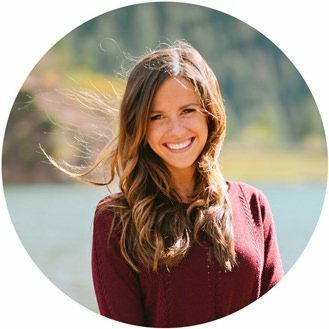 You should have a podcast :) Best of luck on this new adventure, you are an inspiration to lots of people! Natalia… wow!! Thank you thank you thank you!! That is beyond nice of you! Maybe I should… that would be fun:) I’ll keep you posted. Have a wonderful day, Natalie! I try for the asphalt trails around my city. On inner neighborhood streets, I trade off between sidewalk and road. I tripped on a sidewalk crack a few years ago and went down so fast, I even clunked my head! I still have scab scars on my knee from that. Bubble wrap and loud toy pop guns do it to me. I make the kids go out on the porch or in the yard. Gap is having a great sale (50% off + 10% off + free shipping). And I’m about to buy baseball game tickets for the Nationals…4-pack of games for $33! Sorry to comment again, but Janae… That podcast with the ultra guy was awesome!! I listened to on my run this morning. You do sound so excited for the 50 miler. And oh my gosh, he gave you so many good tips! 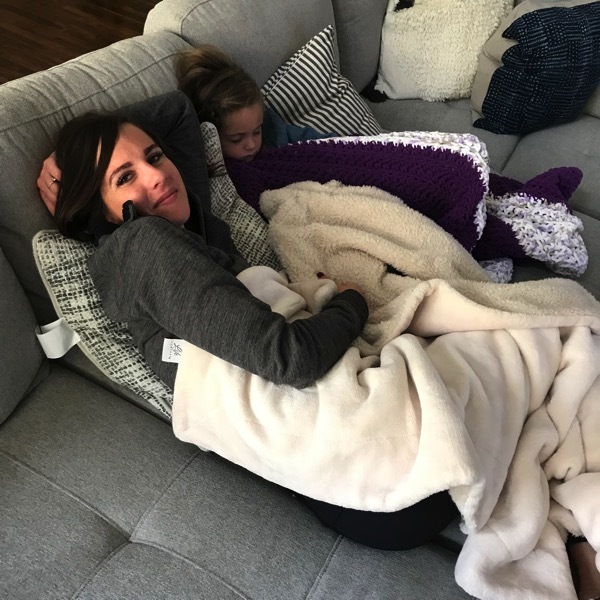 Okay, that fall sounds terrible and I am so glad you were okay… BUT WHAT?! Haha were you pokemoning? I guess a lot of people were getting hurt from that but I would never see someone on the ground and assume that is why they fell haha! I hope you never ever fall again while running! Sidewalk cracks get me at least every few months. Also rocks in the road. I better knock on wood but I actually think I have made it without falling for almost a year while running (I cannot say the same for biking). Last year there were multiple falls though while running. My knees looked awful. I have a fear of finding a dead body on my runs and bikes. I think this comes from spending a lot of time riding out in the country with the fear of finding something in a ditch. Hopefully this fear never comes true! I really want that chicken tortilla soup for dinner… I better pass that along to my husband since he is in charge of dinner tonight. Oh no!!! I have also fallen from rocks in the road… I feel your pain. I hope your ‘no falling streak’ lasts for many more years! Oh I really hope that never happens too! Yes, let me know what you think of the soup! I thought i was the only one afraid of those popping things! The first time I opened one I had no idea so i think I have PTSD from it! I also don’t like Jack in the Boxes or balloons so there’s a theme. 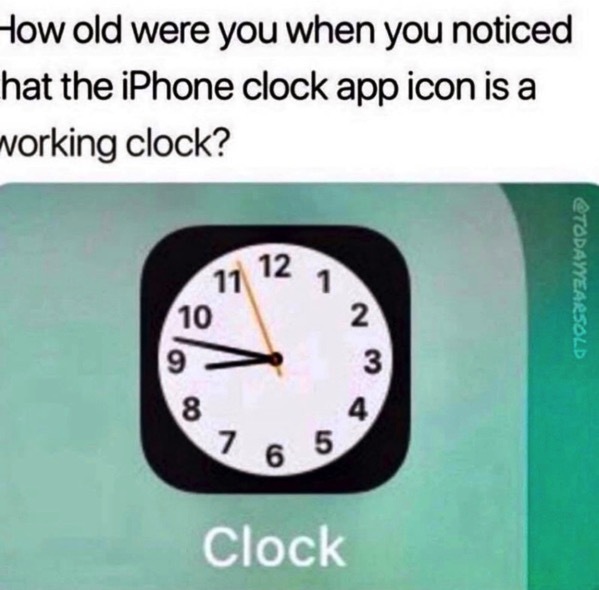 Also, that iphone clock? Mind. Blown. You are not alone!!!!! You and my sister need to start a support group or something:) Have a great day! I got Hope her first pair of running shoes for her first b-day. What size do you have in that black Brooks 1/4 zip? I am thinking of getting it but do not know if I should do XS or X.
I make my 14 YO open those Pillsbury containers. ;) It’s going to be so much fun coming along with you during your ultra training. 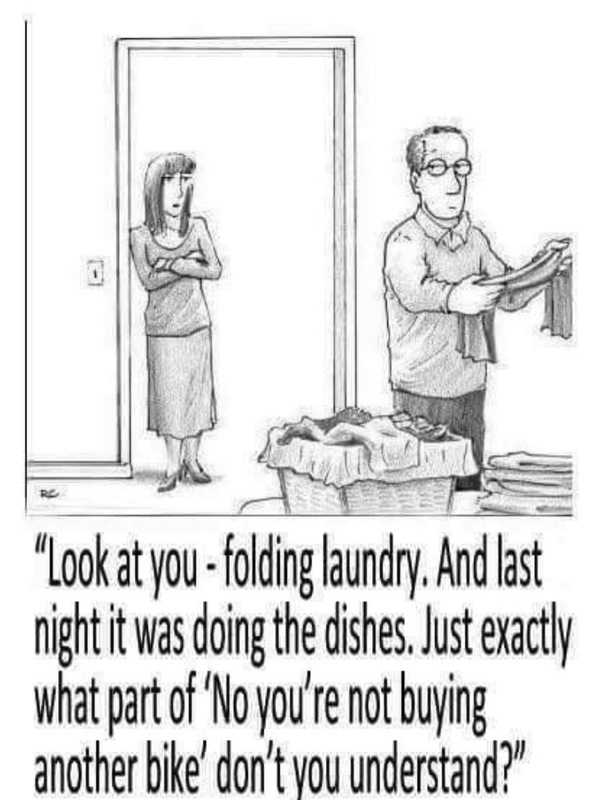 Hahaha that is what my sister does with her teenager too! Thank you! I hope you have a wonderful day! Just made a vodka cream sauce for the first time (my Italian side of the family is ashamed haha) and it was a hit :) I highly recommend, super easy and delicious! SEND ME THE RECIPE!! That sounds heavenly! We may need to make some Santa cookies this weekend. :) Have a great week! First of all, Skye’s smile is so adorable and contagious!!! And second of all, that iphone clock info totally just blew my mind. Haha I had to open my phone and see for myself… thanks for teaching me something new!